The taste and quality of the venison steaks you serve for dinner depend largely on how the deer is handled in the field. Silently, the deer comes slipping through the woods, stopping every few yards to check for danger along the path ahead. The hunter sits in a tree stand 50 yards away on full alert. Soaked in sweat from the oppressive September heat, he fears the deer will wind him at any minute. The young cowhorn buck, a nice "meat deer," steps into a little clearing in the forest and the hunter makes a well-placed shot. The deer is down. Now what? The decisions that our fictional hunter makes in the next few minutes will determine the quality of the venison he puts on the family dinner table for the remainder of the year. Should he field dress the deer, or just try to get it out of the woods and into a cooler as soon as possible? Should he attempt to butcher the deer himself or take it to a processor? Unfortunately, for many hunters, the answers to those questions, and many more, are often based on myth and misinformation about the proper protocol for handling deer from field to freezer. One of the oldest, most persistent myths about handling deer is also one of the most harmful. For as long as most deer hunters can remember, a pervasive rule of thumb has insisted that you cut the tarsal glands and the testicles from a buck as soon he hits the ground. The thinking was (and still is in some circles) that the gamey secretions from these two body parts would somehow leach back into the carcass and taint the meat. 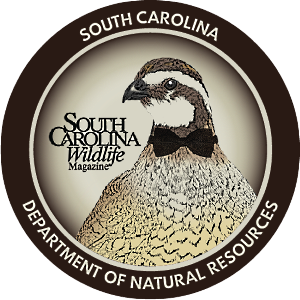 "Nothing could be further from the truth," says Charles Ruth, the S.C. Department of Natural Resources' Deer Project leader. "The deer's testicles didn't affect the quality of the meat while he was alive, and they won't bother the meat now that he is dead. And leave those tarsal glands alone. Don't even touch them. They will only taint your knife and your hands. And you will inevitably transfer that to the meat." Charles Ruth knows a thing or two about skinning and processing deer. In his former life, before he came to work for the DNR, he processed more than a thousand deer while working on a private hunting plantation. He even starred in a video produced several years ago by the Clemson University Extension Service providing hunters with a step-by-step visual guide to skinning and processing deer. "When you hear people talk about eating venison that tasted gamey, it's because they got a mouthful of a deer that was mishandled," Ruth says. "Most likely the meat was contaminated with dirt and debris, intestinal contents or bloodshot tissue." The secret to success in processing deer, says Ruth, is keeping the carcass clean and cool. "I don't recommend field dressing deer. You can drive a truck to ninety percent of the deer harvested in South Carolina. My advice is to get that deer hung as soon as possible and move on to skinning it right away." There are exceptions to that rule, Ruth admits: "Field dressing deer may be somewhat more popular and appropriate in the more remote areas of the northern part of the state." Sometimes it can be tough or nearly impossible to get a deer out of the woods in a timely fashion in the remote areas of the mountains, particularly if the deer is downed in the late evening. In that case, field dressing is sometimes required, but steps should still be taken to keep the carcass cool and to reduce the possibility of contamination of the carcass from dirt and debris. Often, the mountain deer hunter must walk out of the woods to get help dragging the deer. That's an opportunity to stop at the store, pick up a bag of ice and carry it back to put in the cavity. The carcass can be protected while dragging through the woods by cutting a few small slits in the belly flaps and closing the cavity back up, temporarily stitching it closed with a length of string or cord. But for most hunters, the trick is to get the deer out of the woods quickly and either to a deer processor or to the skinning shed. "You want to go right ahead and skin and eviscerate the animal. This is the step that has the biggest effect on the quality of the meat. If you contaminate the carcass with intestinal contents at this stage, or fail to completely remove the bloodshot tissue, it will spoil the meat," Ruth says. Charles Ruth has perfected a method of skinning and processing a deer that is a wonder to watch and too involved to describe here in detail, but several things he does could save hunters a lot of time and frustration. For example, nine times out of ten, a hunter drags the deer up to the skinning shed and cuts two slits right above the hind leg knee joints, exposing the large Achilles tendon. The two curved ends of the gambrel are then slipped into these two pockets and the deer is hauled up by winch to a working height. The problem with that common practice is that once the hunter starts trying to skin the leg area around the gambrel, it is all but impossible to work the knife around the gambrel. The solution is so simple that it evades most hunters - skin a small section of the leg around the knee joint before you hang the deer. Just be careful not to cut the Achilles tendon. It is essential to hanging the deer. But the best advice, the one thing that will make the biggest difference in the final product, is to get rid of every speck of bloodshot tissue. Many hunters just quickly skin and eviscerate the deer and hang it in the cooler or take it to a processor. This is a recipe for disaster. Bloodshot tissue, that cherry-red to blackish area around the bullet wound, begins to decompose almost immediately and is a ready-made feast for bacteria. It can eventually taint the entire carcass, even while the deer is hanging in the cooler. Here's how you get rid of it. Once the animal is skinned, locate the bullet-entrance hole and begin trimming away the entire area around the wound until you reach fresh, undamaged tissue. This is not the time to worry about trying to save every ounce of deer meat. Trim and discard every bit of tissue that shows signs of hemorrhage. You can't eat it, and if you take it to a processor, that's the first thing he is going to do anyway. Michael Cordray, a custom deer processor located in Ravenel, handles about three thousand deer a year. He also has some advice for hunters who want to end up with venison that even those who are timid about eating wild game will brag about. "In hot weather - say August and September - if you can't get the deer to a processor in two to three hours, go ahead and field dress it. Get it in the cooler or put a bag of ice in the cavity. Even during cooler weather, it is still important to get the carcass cooled down as quickly as possible. A sealed up body cavity holds heat. The point is, take care of the meat from the time it hits the ground. Once the deer is down, it is no longer a deer - it's a piece of meat." . Cordray says he gets everything from the whole un-skinned deer to individual pieces of meat. "We'll take it however they bring it in, but one thing I would stress is that when hunters skin the deer, they tend to wash it off like you would wash a car. That's fine, but the problem comes in when they lay the soaking wet deer on a dirty picnic table or in the bed of a truck. Everything sticks to a wet deer. The combination of water and bacteria and dirt is definitely something you want to avoid." It seems that no one has ever taken the time to calculate just how much venison South Carolina hunters put in the freezer, and eventually on the dinner table, each year. Charles Ruth whipped out his calculator recently and came up with these figures - 221,000 deer harvested last year, times an average live weight of 100 pounds, times 35 percent average yield of boned meat, equals an amazing 7.74 million pounds of venison. That's a lot of deer meat, and for some folks, a substantial part of their diet. So it would seem logical that hunters would take whatever measures are necessary to make sure that the venison they serve their families is of the highest quality and purity. We expect and demand nothing less from commercial butchers and purveyors of beef, poultry and pork, yet each year we see some hunters handle deer carcasses in ways that raise eyebrows around the deer camp. Things like letting a deer lie around in the hot sun for several hours before skinning and gutting, working with dirty tools, and leaving bloodshot tissue for the processor to deal with, all work to guarantee a less-than-Grade-A product. Take the time to learn to do it right, and keep the carcass clean and cool. You will do justice to the fine animal you just harvested, and you are much more likely to earn the praise and admiration of those who sit down at your dinner table. For more information on processing and preparing deer meat, including "Tender Loin Versus Tenderloin," "Top Ten Tips for Deer Processing," and "Easy Deer-licious Recipes," go to www.scwildlife.com and click on the "Hunter's Harvest" article. These short articles are included in the online version of "Hunter's Harvest" as sidebars. For information about S.C. Hunters and Landowners for the Hungry, a nonprofit organization that provides deer meat to hungry South Carolinians, visit www.schuntersforthehungry.org. Chapter heading and recipe from Wild Fare and Wise Words cookbook, by Jim Casada.